Once a year, Ben and Jerry’s gives away ice cream at its scoop shops free. In the U.S. and Canada, find your nearest scoop shop here. Welcome to the sixth Travel on a Shoestring Carnival for South America, Africa, and the Middle East. Here you’ll find South American, African, and Middle Eastern (and Antarctic!) travel tips for those without a lot of money to spend. Photographic inspiration this week thanks to Heather Bays and the kind folks at Intelligent Travel. You can read about Heather’s setup for the “perfect shot” in her hostel at Global Eye: Cordoba, Argentina. Chris Christensen of the Amateur Traveler interviews a round-the-world cyclist on the most hospitable country that he has visited in (surprise?) Iran by Bike. Nomadic Matt explains how a frugal lifestyle and travel ethic easily finance an unusual amount of travel in his post How I do it, part 2. Also a good read is his post on Keeping Yourself Motivated to Travel. Joel Widzer has provocative ideas — such as (no joke) following natural disasters — to save you money on travel in his post Insider’s Guide: Contrarian Travel Tactics at “Where Next?”:The Away.com Travel Blog. Greg Laden encourages you to neither give nor request travel souvenirs in his post Vicarious Travelers and the Poison in the Gift at Greg Laden’s Blog. Steve James covers the most common amateur packing mistakes in What NOT To Bring Backpacking: 10 Things To Leave At Home, a guest post at nomad4ever. Last but not least, if company’s coming, lay out fresh towels, scrub the toilet and read Tip Diva‘s post on Top Ten Tips – Being A Courteous Host posted at Tip Diva. Thanks for reading along. If you’d like to see your post on budget travel in South America, Africa or the Middle East in this carnival, submit using the online form found here. Encourage your favorite regional bloggers to submit posts for next month! Our next carnival will be posted Saturday, when we return to Europe. You can submit your posts through Wednesday for that carnival here. Welcome to the fifth Travel on a Shoestring Carnival for South America, Africa, and the Middle East. Here you’ll find South American, African, and Middle Eastern (and Antarctic!) travel tips for those without a lot of money to spend. 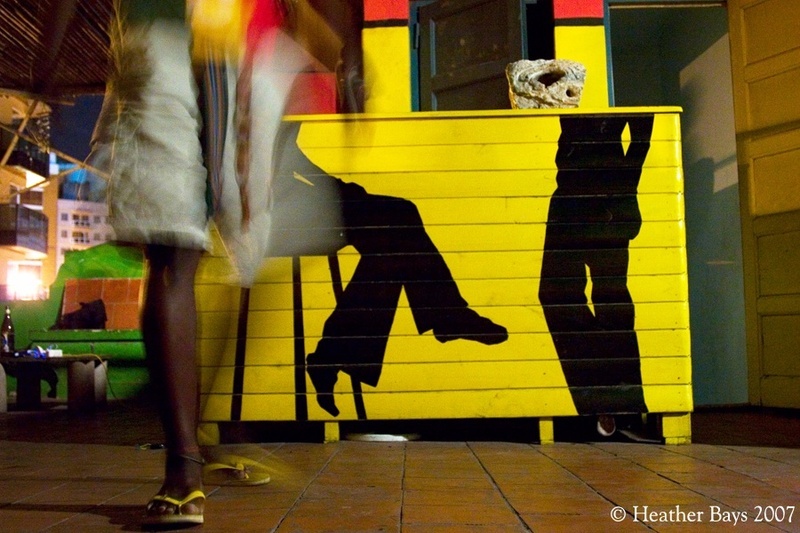 Photographic inspiration this week thanks to Nick Amis of Intelligent Travel‘s Global Eye. 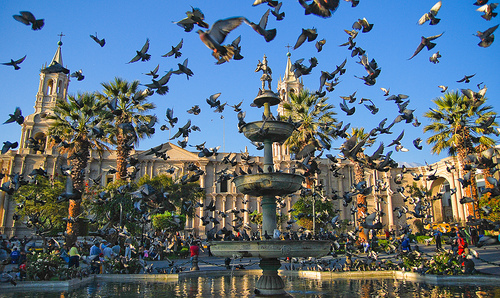 Click on the link to read about the details of this photo of Arequipa, Peru. Did you follow Rick Steves on his recent trip to Iran? Before you see the video on your local public television station, you can catch up on his impressions and experiences filming off his own beaten track in the name of peace from the page Rick Travels to Iran. If you’re headed to South America, you’re probably considering learning or brushing up on Spanish before your trip. Take Global Traveler‘s advice and discover The Advantages of Taking Online Spanish Classes posted at Traveling Around The World. Chris Christensen of the Amateur Traveler interviews an insider about the lovely island of Madagascar. Sheila Scarborough blogs about the star of Bahrain Rising over at Perceptive Travel Blog. Terry Carter lays out the ins and outs of Dubai in his posts Top Things to Do in Dubai and Dubai Guide: Top 10 Off-the-Beaten-Path Experiences at Viator Travel Blog. axel writes about hitchhiking in Africa in Traveling And Personal Growth posted at axel g.
For those hoping to stay connected on the go, Matthew Paulson presents How Not to Get Charged $5.00 a Minute When Using Your Cell-Phone Overseas posted at The Travel Advocate. Thanks for reading along. If you’d like to see your post on budget travel in South America, Africa or the Middle East in this carnival, submit using the online form found here. Encourage your favorite regional bloggers to submit posts for next month! Our next carnival will be posted Saturday, when we return to Europe. You can submit your posts through tomorrow for that carnival here. Today is International Museum Day and thousands of museums around the world will take part by offering free entrance or special events this weekend only. You can find a partial list of participating countries and museums here. If you don’t see your museum of choice listed, don’t fret — give them a call and find out if they too have something on. If you don’t already have plans for this Sunday, treat yourself and your loved ones to a little backyard tourism in support of museums at home and abroad! Welcome to the fourth Travel on a Shoestring Carnival for South America, Africa, and the Middle East. Here you’ll find South American, African, and Middle Eastern (and Antarctic!) travel tips for those without a lot of money to spend. Follow us inside . . . Since I very nearly headed to Morocco instead of Spain on RyanAir’s latest no taxes-no fees sale, I was interested in reading more about a potential future destination. 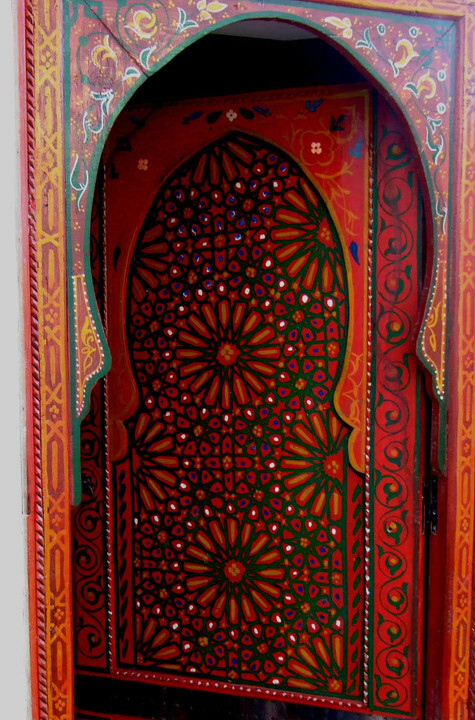 All roads pointed to Maryam of My Marrakesh, whose blog provides this week’s photographic inspiration. Everywhere I hope to go, it seems, National Geographic has already been. This month’s featured destination was Marrakesh, with Mary Beth LaRue highlighting various forms of media to get you in the mood for your own Moroccan adventure. I was happy to see Chris Christensen of the Amateur Traveler‘s podcast on Marrakesh as one of the chosen offerings. Those looking for more reads on Africa generally might check out the irregularly updated Beautiful Africa Carnival site. If you’ve thought about taking a service-oriented trip abroad, try Catherine Pearson at Intelligent Travel‘s post on her Voluntour of Duty with Habitat for Humanity in Mozambique. Of Laura Milligan‘s Lost and Found: 12 Ancient Cities Rediscovered, three are in this carnival’s region. Find out which destinations she recommends at Travelhacker. South American fliers might be happy to know that a low-cost carrier (the newest project by JetBlue’s founder) may be coming to Brazil. Read further details at Budget Travel‘s This Just In. Wrapping up this week, Heather of Heather on her Travels is after my winter-chilled heart with her post Warm baths and waterfalls in Ecuador. She adds, “Where in the world would you be asked, when checking into your hotel, whether you’d like a view of the garden or of the waterfall? Explore the Ecuadorian holiday town of Banos where the warm baths are fed by the thermal springs from an active volcano and cooled by the freezing waterfalls that cascade down the cliffs that surround the town.” That reminds me . . . gotta pack my swimsuit! If you’d like to see your post on budget travel in South America, Africa or the Middle East in this carnival, submit using the online form found here. Readers, encourage your favorite regional bloggers to submit posts for next month! Our next carnival will be posted April 5, when we return to Europe. You can submit your posts for that carnival here. Welcome to the third Travel on a Shoestring Carnival for South America, Africa, and the Middle East. Here you’ll find South American, African, and Middle Eastern (and Antarctic!) travel tips for those without a lot of money to spend. Photographic inspiration for our carnival this week is again thanks to Intelligent Travel. 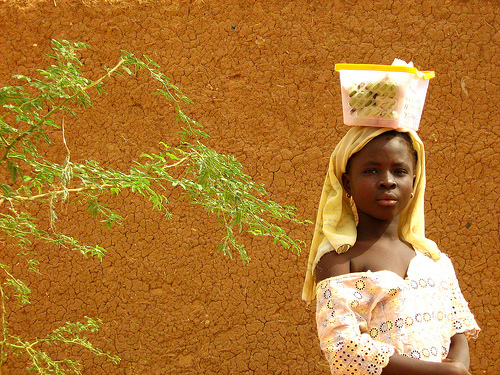 Romel Jacinto snapped this image of a girl in Bandigara, Mali — read further details at its Global Eye post. Those wonderful IT folks drew my attention to a relatively new feature at the National Geographic Traveler website: Laura Morelli, an art historian, writes a monthly article on indigenous crafts called The Genuine Article. This month’s topic is, aptly enough, The Art of Brazilian Lace. Brazil is also the focus of many of Matthew Hamilton‘s posts over at Fuego Y Agua – Travels In Latin America. Two posts with budget pretensions are Brasilia — the City as an Art Exhibit and Showering in Waterfalls. And you are probably missing something if you’ve never tried Latin Loving — “Passion Without Limits” at Love Motels; thankfully, Matthew helps us all experience the, um, pleasure vicariously. Making its way around the blogosphere is Priya Jestin‘s post on Top 25 Most Beautiful Castles in the World at International Listings Blog. Seven of the castles on her list can be found in the Middle East, Africa or South America. Wrapping up this week, Raymond presents The Best Travel Rewards Credit Card | Money Blue Book posted at Money Blue Book. If you’d like to see your post on budget travel in South America, Africa or the Middle East in this carnival, submit using the online form found here. Readers, encourage your favorite regional bloggers to submit posts for next month! Our next carnival will be posted March 1, when we return to Europe. You can submit your posts for that carnival here.